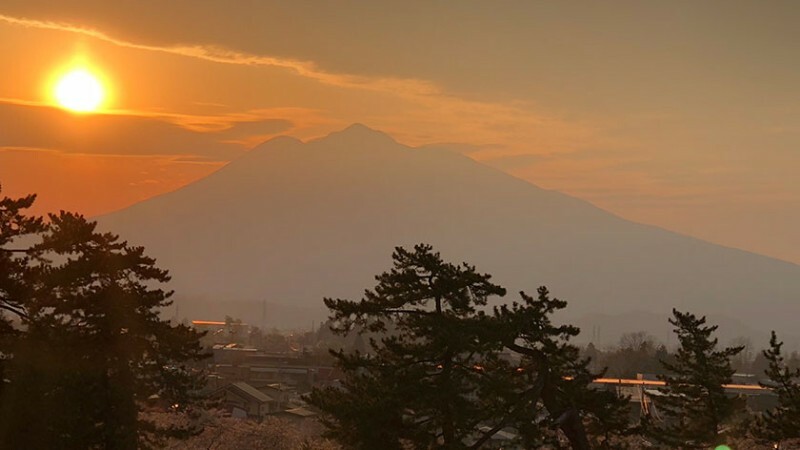 Home to over 2500 cherry blossom trees and listed as one of Japan’s top 100 castles, Hirosaki Castle and the surrounding Hirosaki Park are mostly wheelchair accessible and make for a memorable visit to Japan’s north. Hirosaki Castle was completed in 1611 but in 1627, the 5-story tenshu (castle tower), was struck by lightning and burned down. 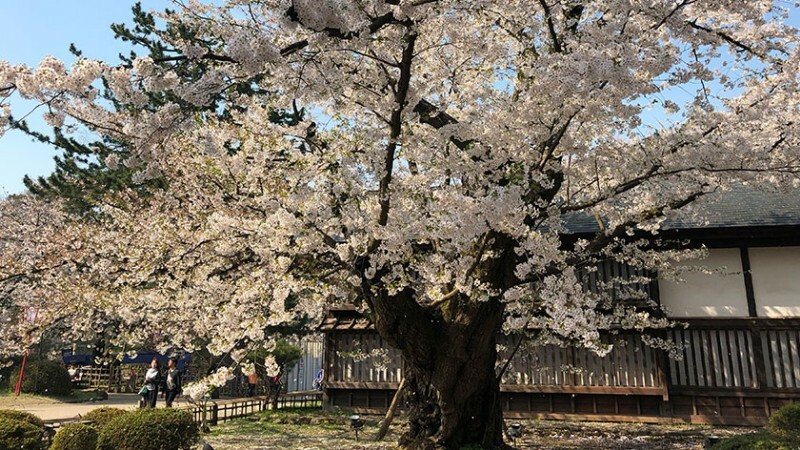 It remained in that state until 1810, when the present 3-story structure was built by the 9th daimyo, Tsugaru Yasuchika. It is the only castle in the Tohoku Region that was not build in the modern era. Hirosaki Castle was listed as one of the 100 Fine Castles of Japan by the Japan Castle Foundation in 2006. In 1894, the castle properties were donated by the Tsugaru clan to the government for use as a park, opening to the general public in 1895. 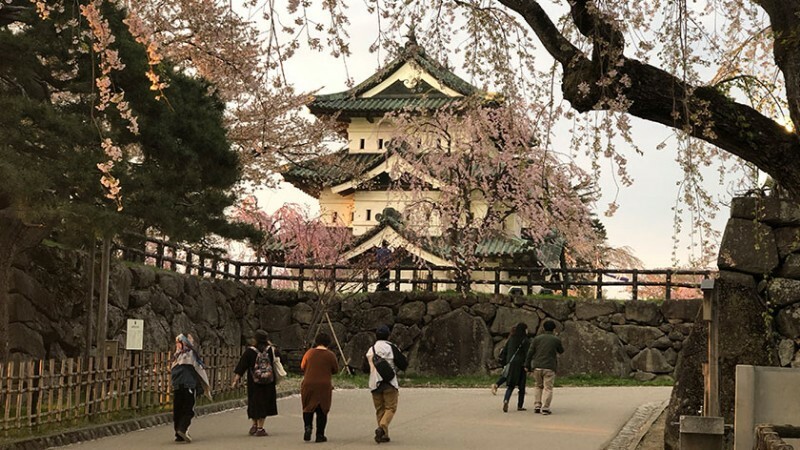 The park is around 0.6 square kilometers in area and features the three-story castle tower, fortified moats, castle gates and some corner turrets (yagura). 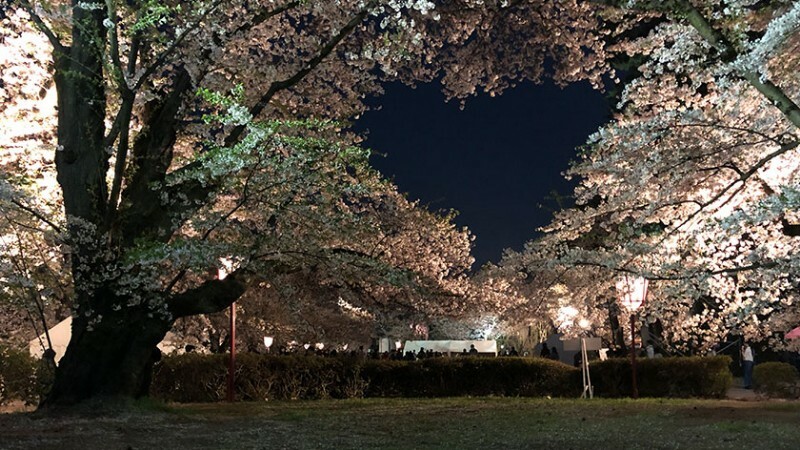 Perhaps more famous than the castle itself, Hirosaki Park surrounding the castle is one of the best cherry blossom spots in Japan – boasting over 2500 trees. 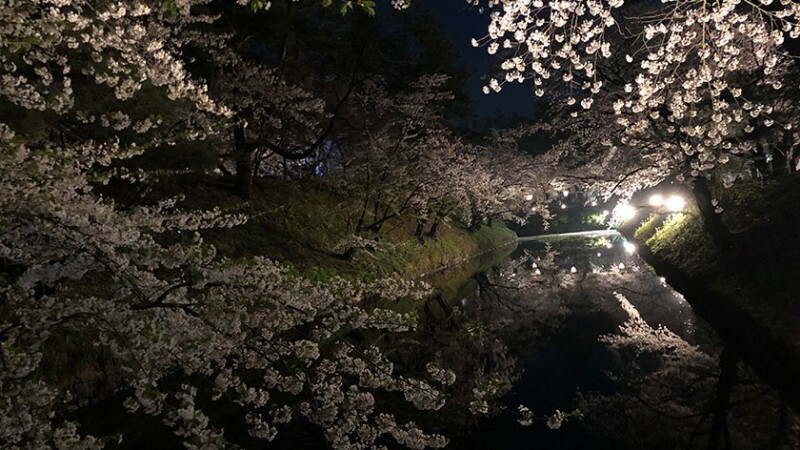 A festival is held annually from April 23 to May 5, when the blossoms are usually in bloom – a few weeks later than Tokyo. The park is free to enter. 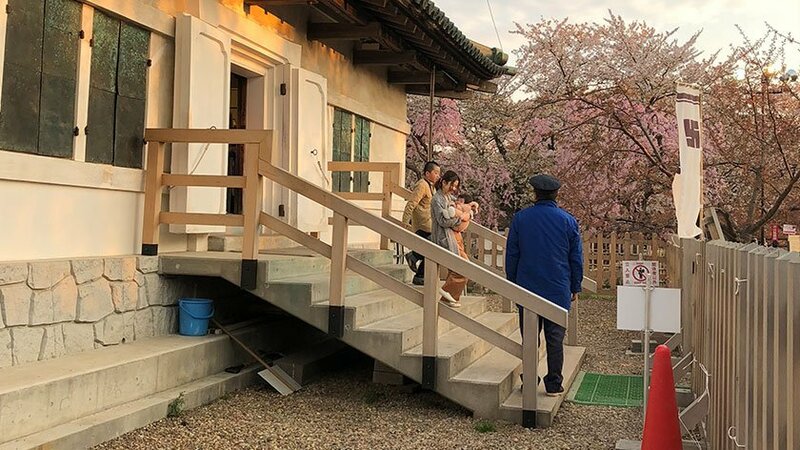 The castle keep area is open from 9:00-17:00 (longer during cherry blossom festival) and costs 310 yen to enter. 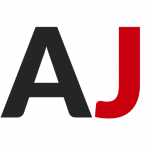 It is closed from November 24 through to March 31st. Getting to Hirosaki Castle from Tokyo is a fairly long trip. After taking the Shinkansen to Shin-Aomori Station, there are regular and express trains going to Hirosaki City. 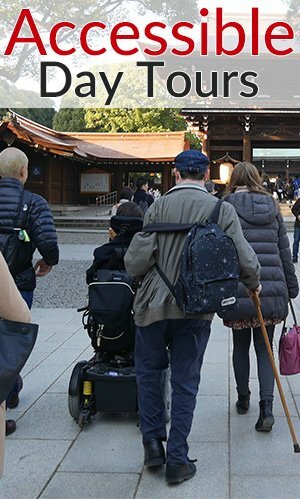 Accessible Japan was first told that the express train from Shin-Aomori to Hirosaki was not accessible. 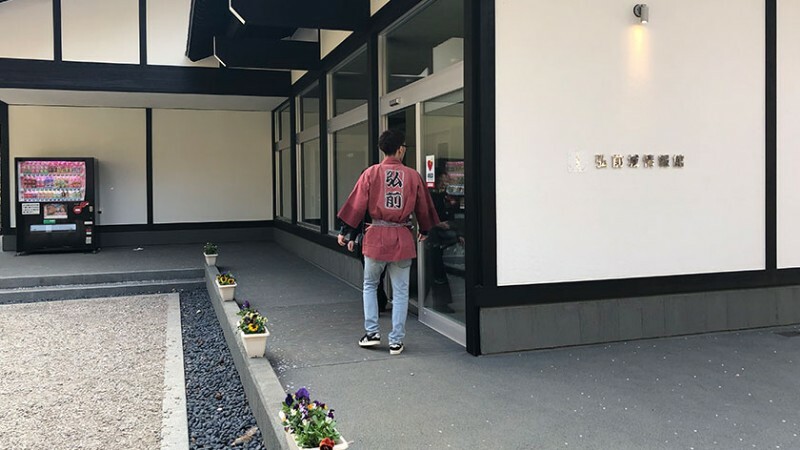 When inquiring as to why that was, the staff said that the door was too narrow – only 80cm. This is more than enough to allow a wheelchair to pass through the door. We assured them it was OK and took the express train. Not only was the door more than wide enough, there was even a wheelchair space available! 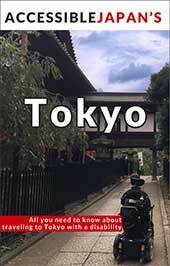 So, take the warning from staff in Tokyo with a grain of salt. 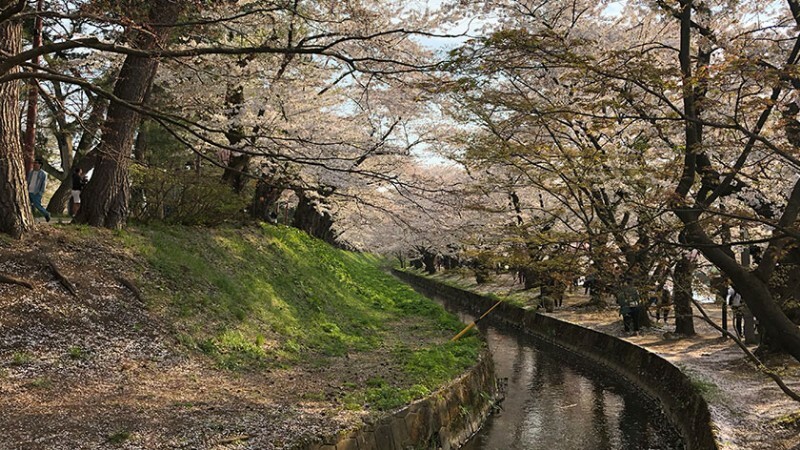 Once arriving in Hirosaki, the castle and park is a 15 minute bus ride from the station. Unfortunately, most of the buses are not accessible, so, waiting for an accessible bus may take some time. For those with more energy it is approximately a 30 minute walk to the castle. 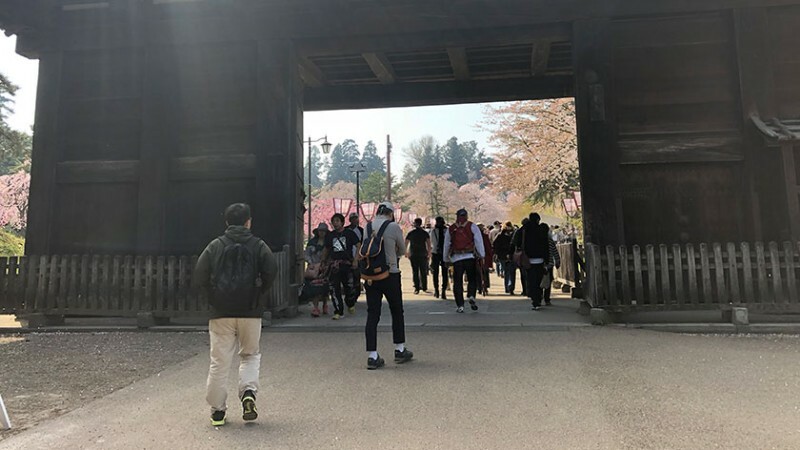 After the challenges of getting to Hirosaki Castle, the park and castle are pleasantly accessible. 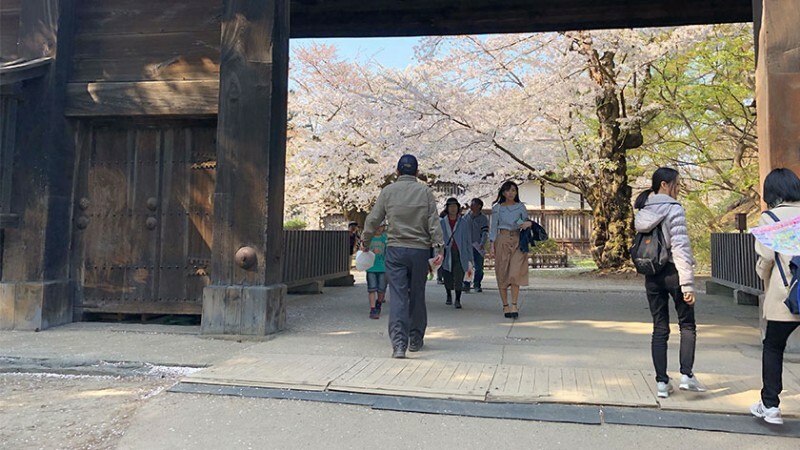 The paths are a mix of gravel and asphalt, and can be a bit bumpy, but no better or worse than any other large park in Japan. Going through some of the gates, there are a few small bumps of less than 5cm. There are no tactile blocks for the visually impaired on the paths. There are benches and rest areas available. 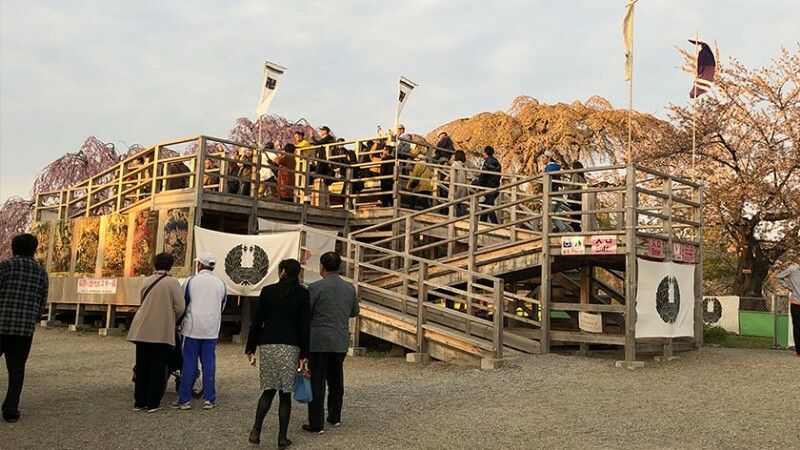 In front of the castle keep there is a platform for taking pictures with the towering Mount Iwaki in the background – and the lower part of the platform is wheelchair accessible! The ramp is a bit steep, so manual wheelchair users may require a push. While it is possible for visitors to enter the castle keep, there unfortunately is a flight of stairs at the entrance. 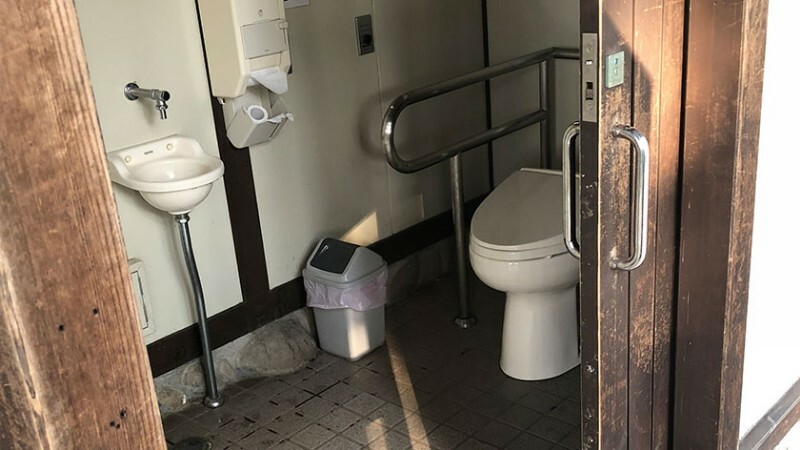 There are wheelchair accessible toilets at a number of locations across the park which are listed on maps. 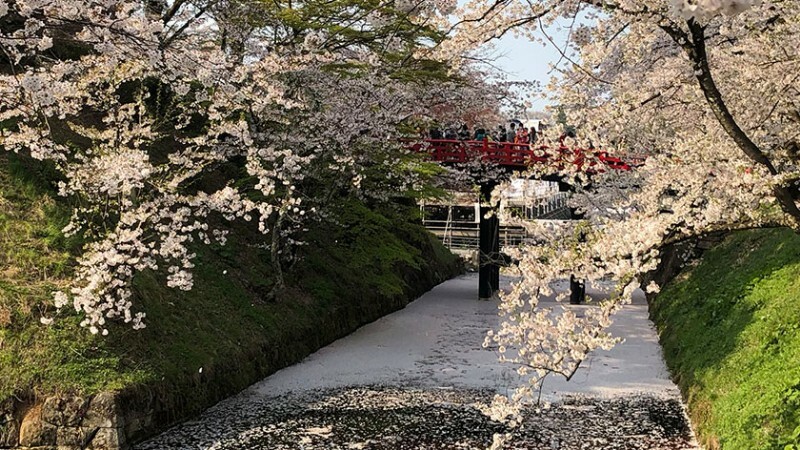 Seeing the 2500 cherry blossoms in bloom will make the long journey to Hirosaki worth it. With the exception of the castle keep, most of the park is accessible to visitors with disabilities. 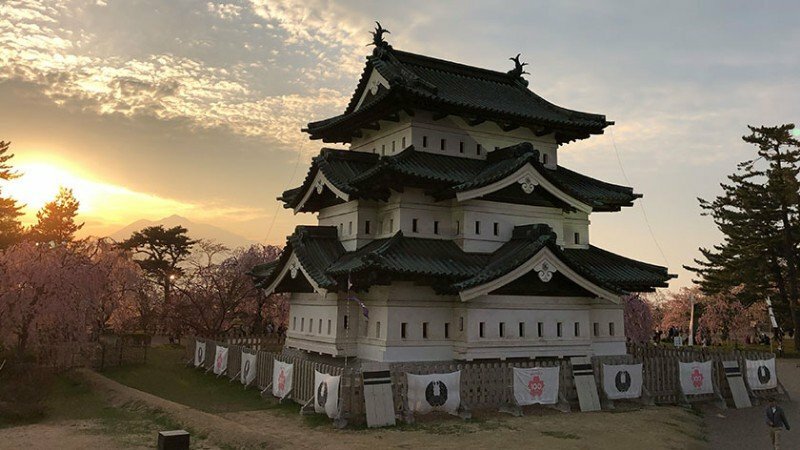 Leave your questions or comments about Hirosaki Castle here!